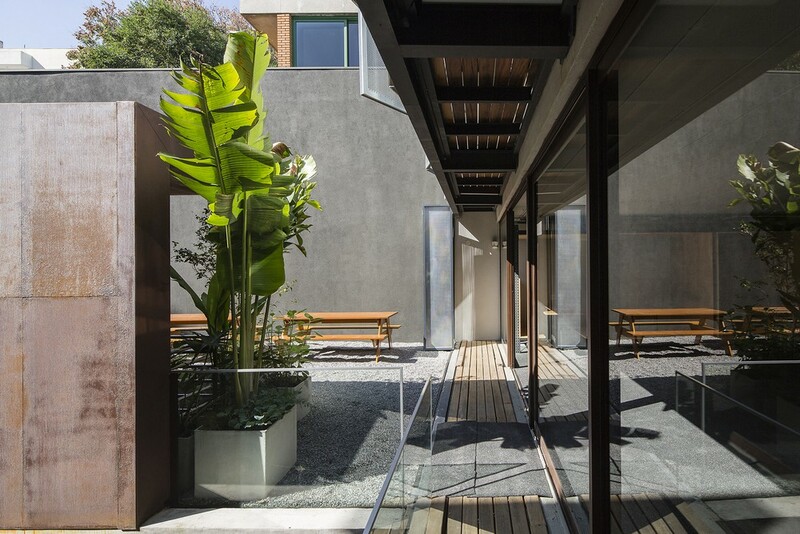 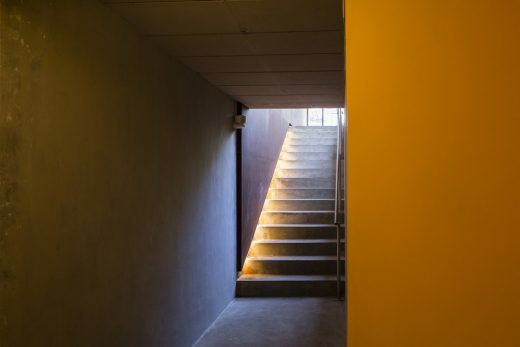 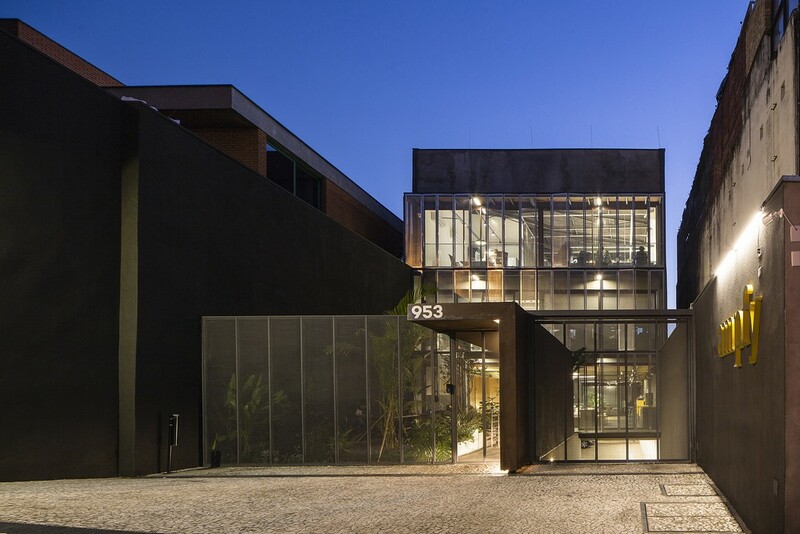 The Girassol Building is a small commercial building located in a steep stretch street in the neighborhood of Vila Madalena located in São Paulo. 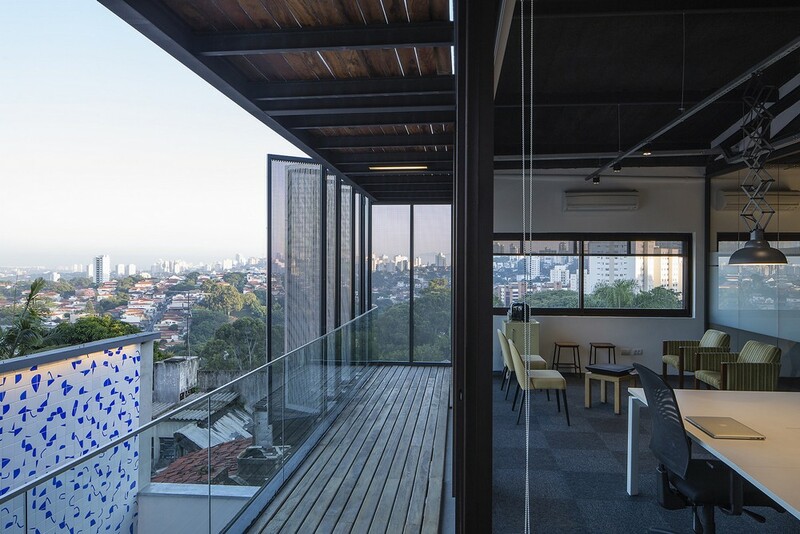 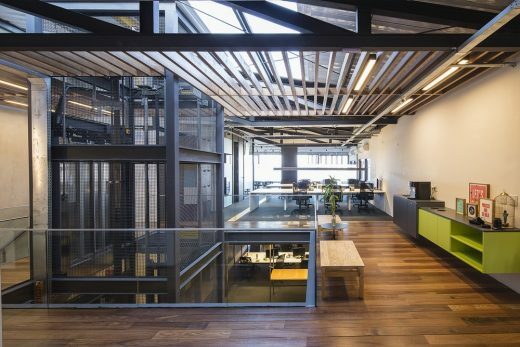 The project should provide versatile spaces that allow divide the space into small rooms or merged into a single large workplace. 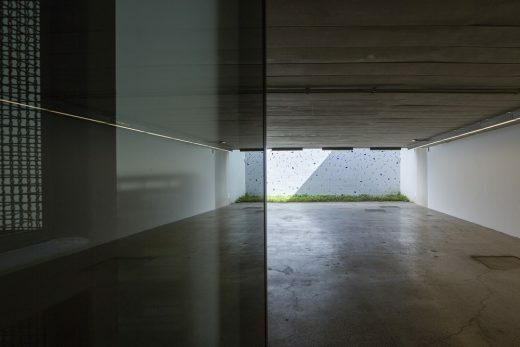 Slabs are supported only by the pillars at the both sides of the lot exceeding its entire width. The subsoil has the access of pedestrians separated from the vehicles and receives the visitors in a central nucleus of circulation. 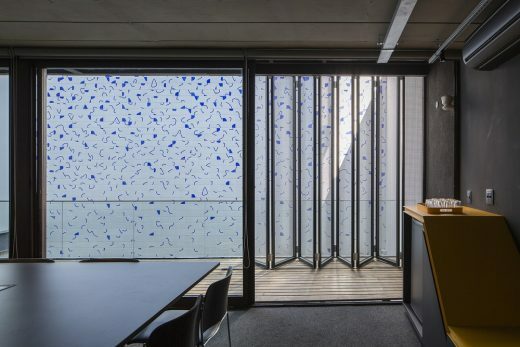 Work spaces can be turned to the front and back of the building, improving ventilation and sunshine along the 3 floors. 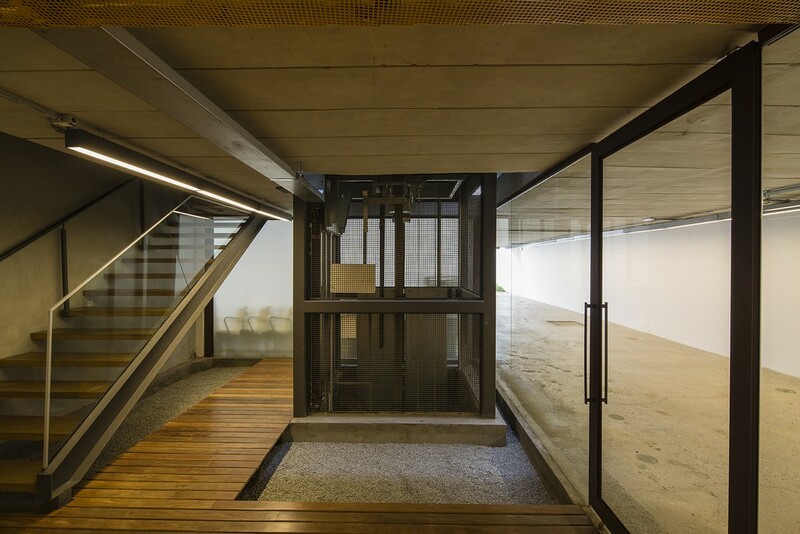 The frame is all composed of floor / ceiling glass, leading users to a small balcony. 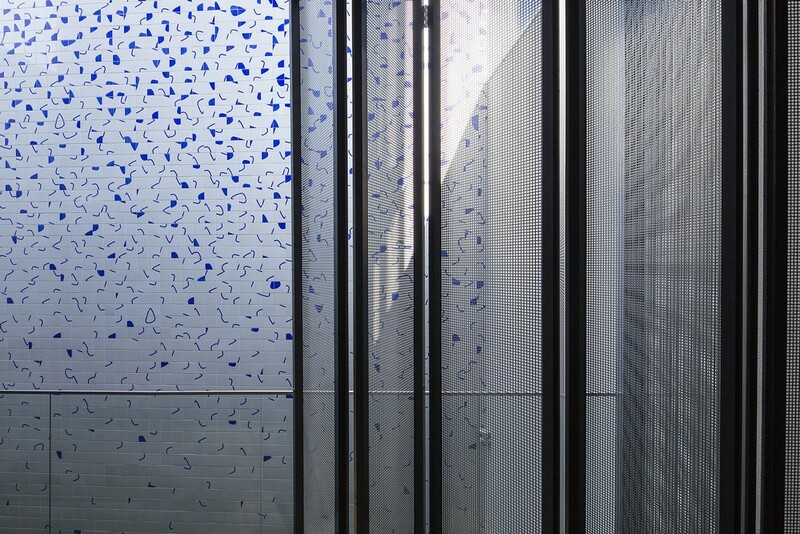 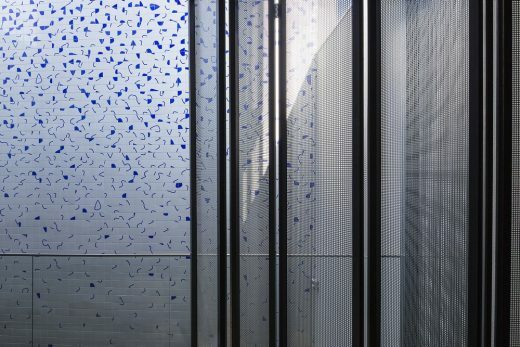 In this, a second skin of shrimp doors in perforated plates protect the internal areas of the excess of sun and give privacy to the work areas. 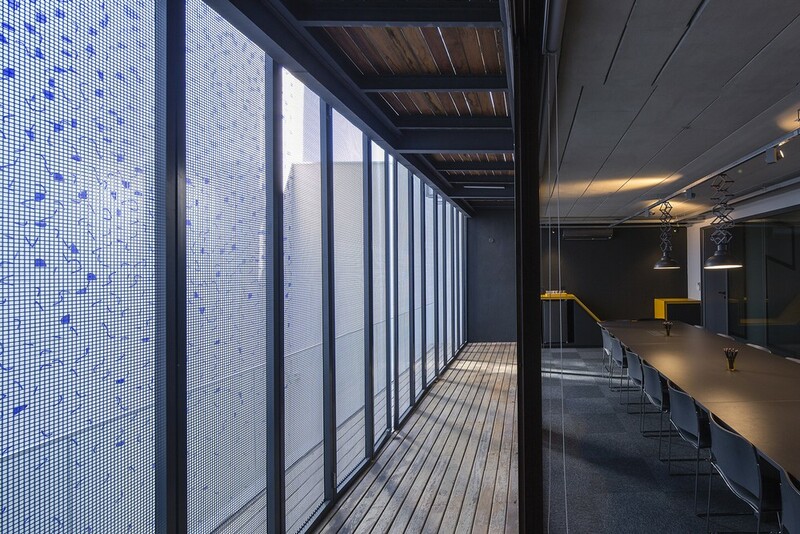 Finally, the roof of the last floor, defined in thermo-acoustic metal tiles, provides a more generous footing, and allowed a zenithal illumination next to the core. 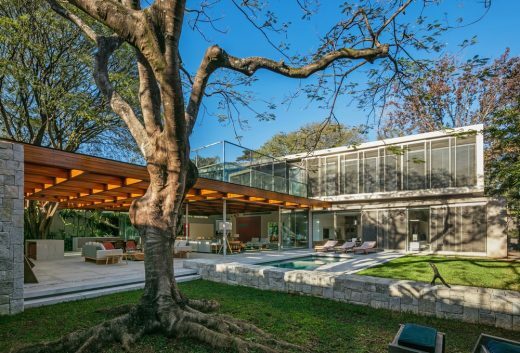 This light enters on a pergola of glass-covered wood, beneath which a generous garden separates the rooms from the front to the back. 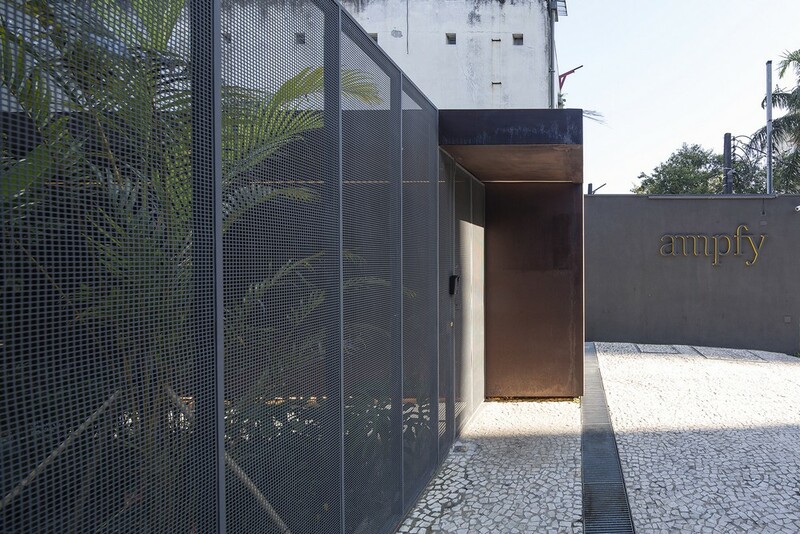 At the bottom of the basement, an uncovered garden and an artistic panel that fills the entire height of the background currency, complete the scene of this project.